Wave  has been completed a bit earlier than we expected, and it looks like the price is already forming the third one. The bears were able to reach a new local minimum. In the near term, we can expect the pair to continue falling down. 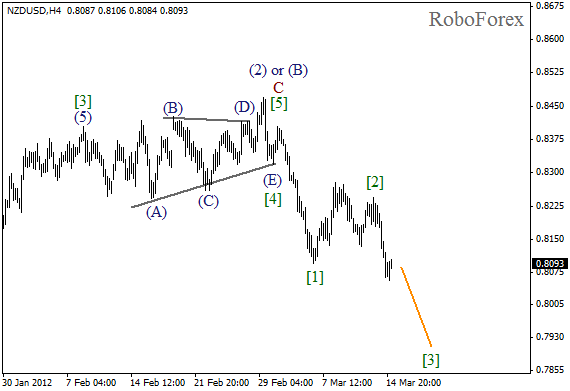 We may assume that the correction took the form of double three pattern. Wave (Y) was several tens of points shy to reach the maximum of wave (W). The price formed a descending impulse in wave (1). After the local correction is finished, we can expect the pair to start moving downwards again. 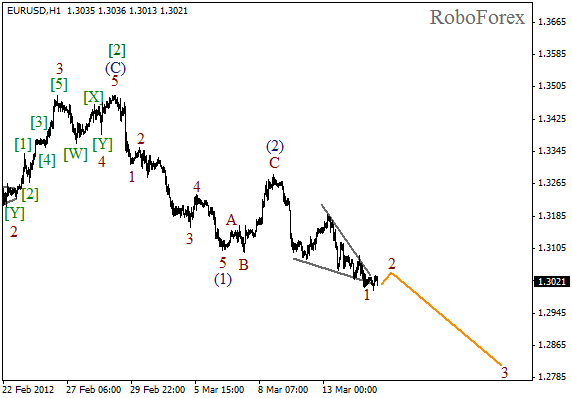 After completing zigzag pattern in wave , Euro started falling down again. 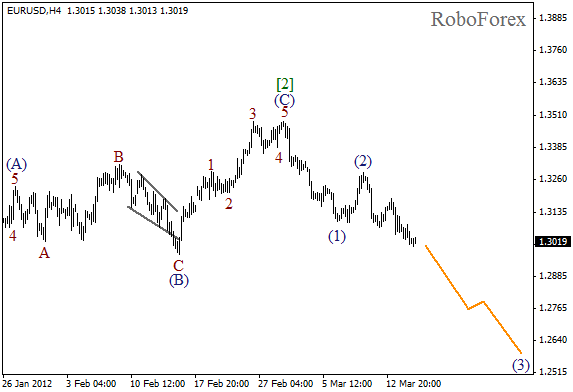 Currently the price is forming a bearish impulse in wave (3). Most likely, the price will continue moving downwards in the nearest future. The target for the next several days is the level of 1.2700. 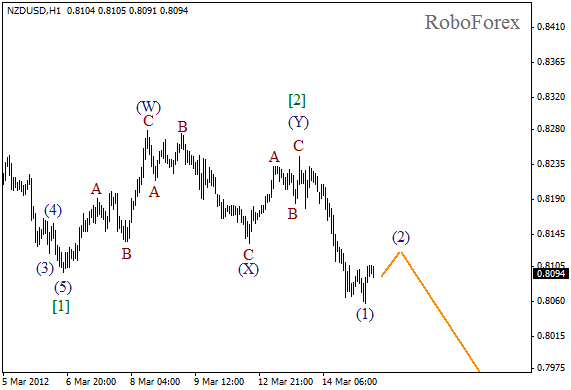 We may assume that the price completed flat pattern in wave (2), and then finished the formation of a descending wedge pattern inside the third one. Of course, we could define and mark several initial waves in a row, but right now this scenario doesn’t seem to be quite real. Currently the market is being corrected, and after the correction is finished, we can expect the price to start falling down while forming wave 3.